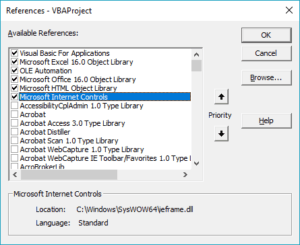 In this article, we will look at how to extract data from a website using VBA. For this we will be using the navigate method on the InternetExplorer object. Let us see this in detail. 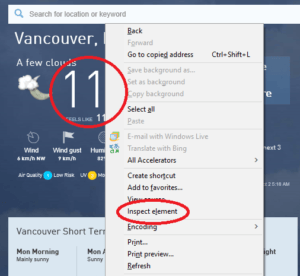 Say, you want to pull the current temperature of the city of Vancouver from this site. Before we begin our coding, we need to know the tag element that contains the required data in the web site. To do that, navigate to the site in the browser. 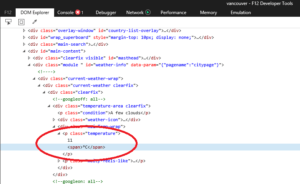 Right click on the data to be retrieved and click on inspect element. 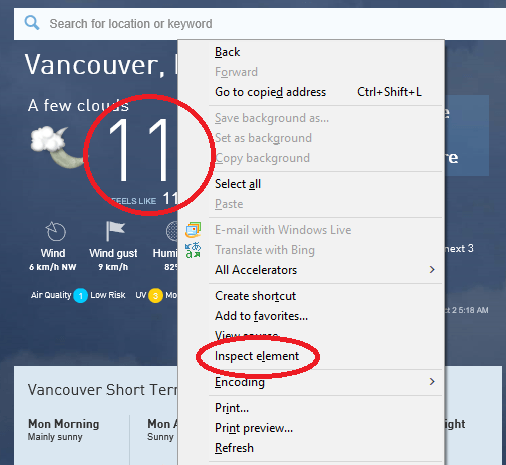 The element will be highlighted in the Developer Tools window that will be opened. 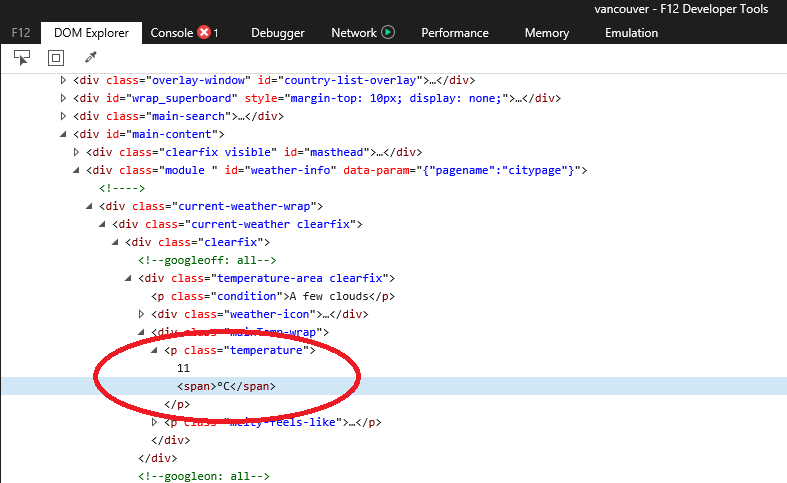 So, we basically want to extract the inner text of a “p” tag with class “temperature”. This can be done as follows. 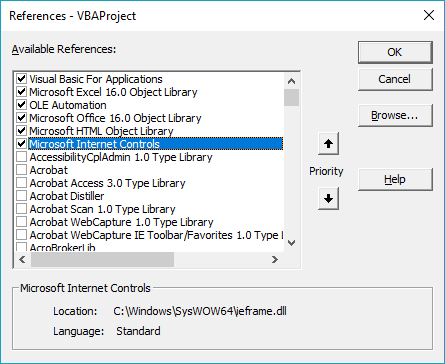 First of all, we need to make sure that the required libraries are included in your VBA project, namely, Microsoft HTML Object Library and Microsoft Internet Controls. If you run this code with the IE visible, you will see that the code clicks on the Excel link. Now you can extract the required data using the methods described above. If you’re interested in doing something similar via recording a macro, please have a look at this article and for using a query table check out this one.